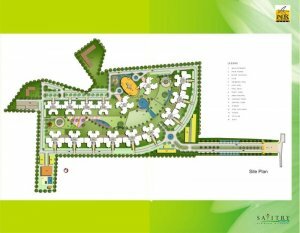 Savitry Greens redefines new-age lifestyle with its architectural splendor, aesthetic design and rich ambience, complete with all state of the art amenities.Rising within a stretch of 22acres in Towers of 2/3/4 BHK+Store/Servent Room With toilet apartments of various Sizes, The group housing layout is well landscaped. The Apartments are spacious and offer total Privacy. A host of smart features and facilities like elevators and power back-up provide convenience to daily living. There we are provide you Some Different Facilities like Water, Car-Parking, Club, Gym, Swimming Pool, Kids Swimming Pool, Lazy River, Water- fountain, Pool deck, Pavilion, Shops, Kids play Area, Stream, Central lawn, Jogging track, Party Lawn ETC….